One source for AUC has been the American College of Radiology (ACR), which has just announced the release of the latest edition of the ACR Appropriateness Criteria®. While the Medicare rules only require a consultation for MR, CT, PET and other nuclear medicine exams, the ACR criteria cover 1,670 clinical scenarios over a wide range of topics and modalities. The latest release adds two new topics and revises 10 existing topics. According to the ACR, theirs are “the most comprehensive evidence-based guidelines for diagnostic imaging selection and image guided interventional procedures”, having been in development since 1993. 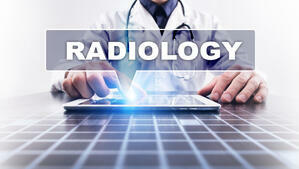 Radiology practices can choose from a list of qualified CDSM’s, which is available from the CMS.gov web site. This is the user interface that ordering physicians or their staff will use to consult the AUC. Similarly, there is a list of Qualified Provider Led Entities (PLE) that have issued appropriateness criteria, of which the ACR is one. Careful selection of both components of the AUC/CDS system will be critical to a successful implementation. Our recent article Medicare’s AUC/CDS Mandate Will Begin Next Year provides a comprehensive review of the Medicare regulations and how they will affect radiology practices. The rules will take effect in 2020 but penalties for non-compliance will not be imposed until 2021 under the current regulatory timetable. Hospitals and imaging centers are preparing by implementing new systems and testing them during the 2019 voluntary reporting period. Radiologists will benefit by being as thoroughly involved as possible, which will give them a level of comfort about the system. Working on the implementation along with the facility and ordering physicians is an opportunity to strengthen both relationships. By subscribing to this blog you can stay abreast of developments and changes in the AUC/CDS mandate and other regulatory issues that will affect your reimbursement. Sandy Coffta is the Vice President of Client Services at Healthcare Administrative Partners.